Increasingly popular in high end gyms, the same type of equipment used to train astronauts and fighter pilots, a unique and fun way to exercise. Foot attachments, hand holds and a centre support securely hold the user inside the inner ring. Spinning motion is possible on three different axes, X, Y, and Z. Each time the direction is changed, force in the form of muscle movement is required. The movement on the different axes causes a feeling of weightlessness. 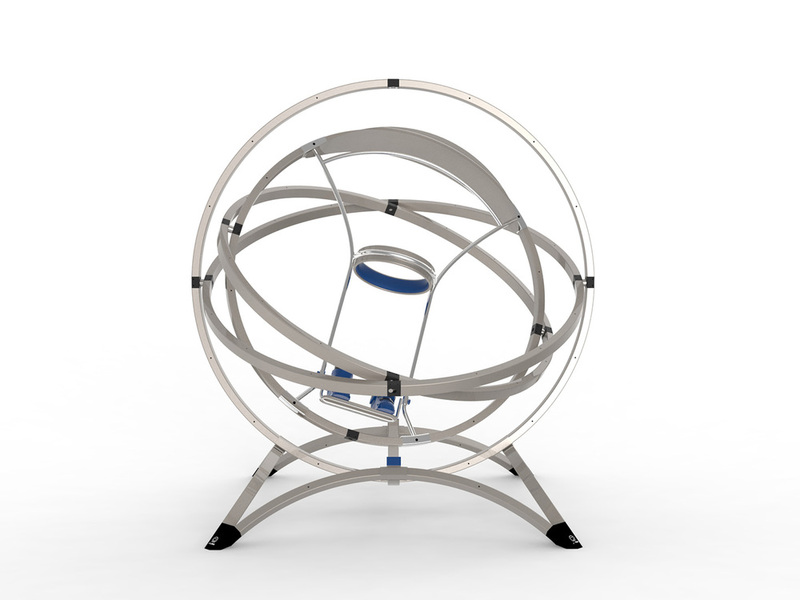 Contrary to what some people think, the human Gyroscope does not cause dizziness or nausea and is a fantastic, fun way to exercise. 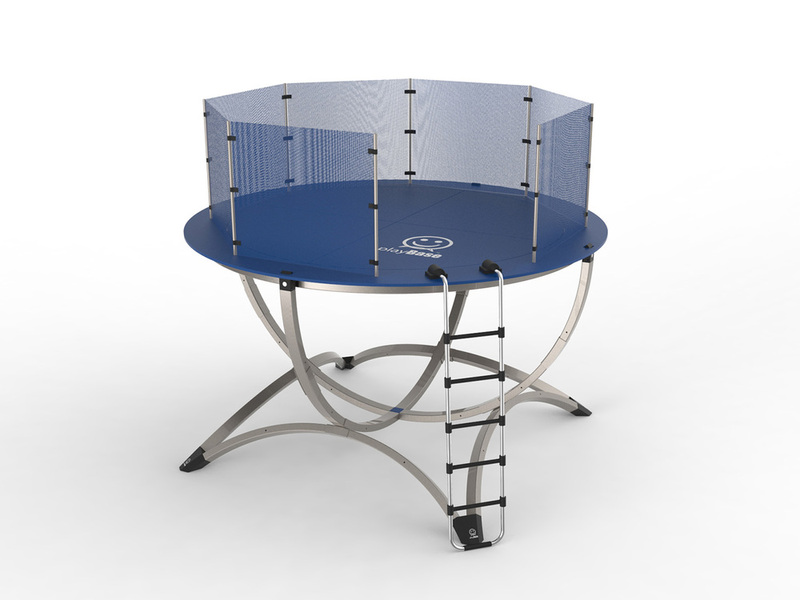 High quality 1.8m (6') diameter trampoline and safety netting. 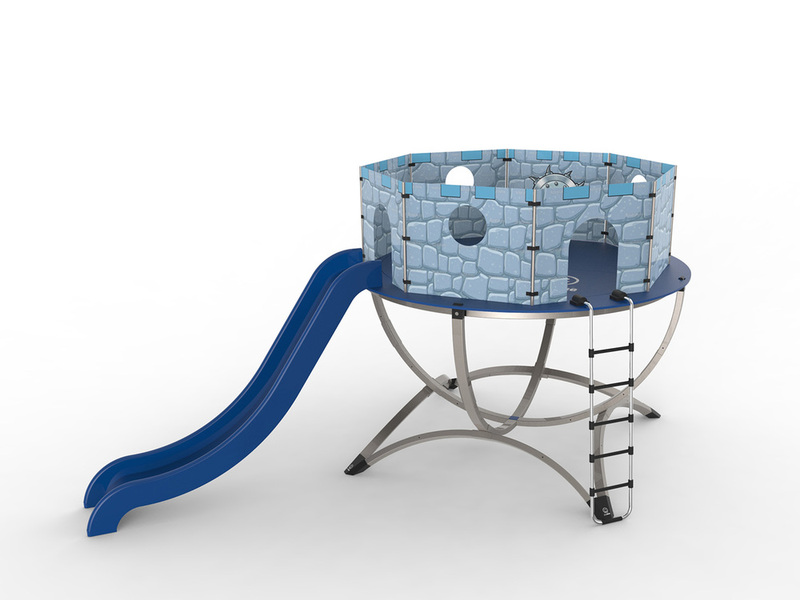 A large elevated castle structure that the kids can use outside as a den or play house or inside as a fantastic child's bed. 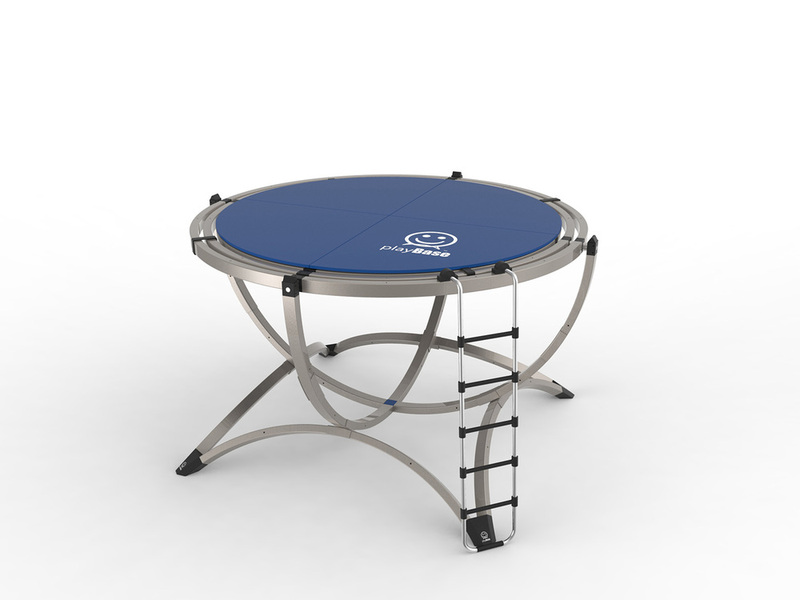 A 2.4m diameter elevated platform that can be used outside as anything from a music stage to a sun deck and inside as a table or king bed base. 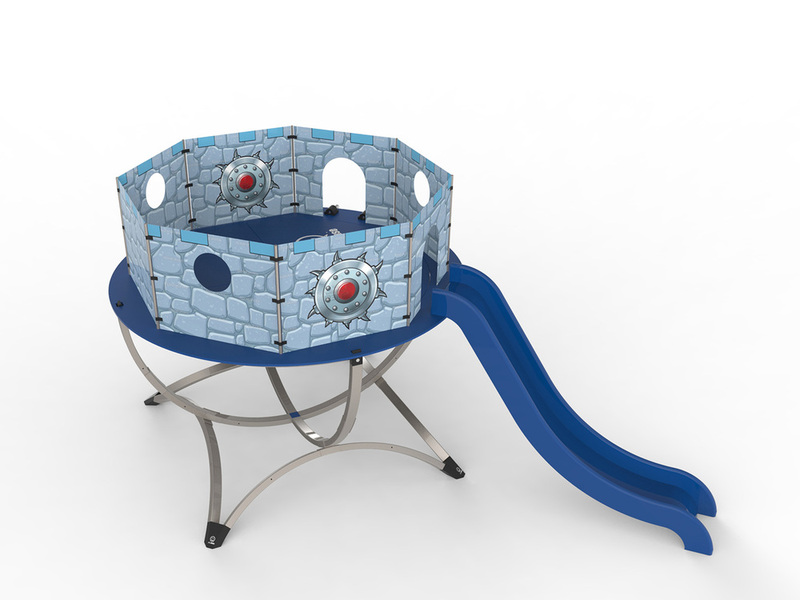 Younger children will love climbing around on the Play Net which provides a safe elevated play area. Older children might use it as an improvised goal for frisbee or football. Inside in a sports hall it would make a great ball basket. Experience the sensation of lying on water without getting wet! The deck “floats” thanks to elasticated safety straps that allow limited movement between all three rings. Use it outside for sunbathing or inside as the base for a floating bed. Outside or indoors, relax on a hammock that rocks side to side and back and forth. The Hammock “floats” thanks to elasticated safety straps that allow limited movement between all three rings. Clamber across netting that rocks back and forth and side to side. The Net “floats” thanks to elasticated safety straps that allow limited movement between all three rings. As a bed base the netting forms a gentle curved bowl profile. 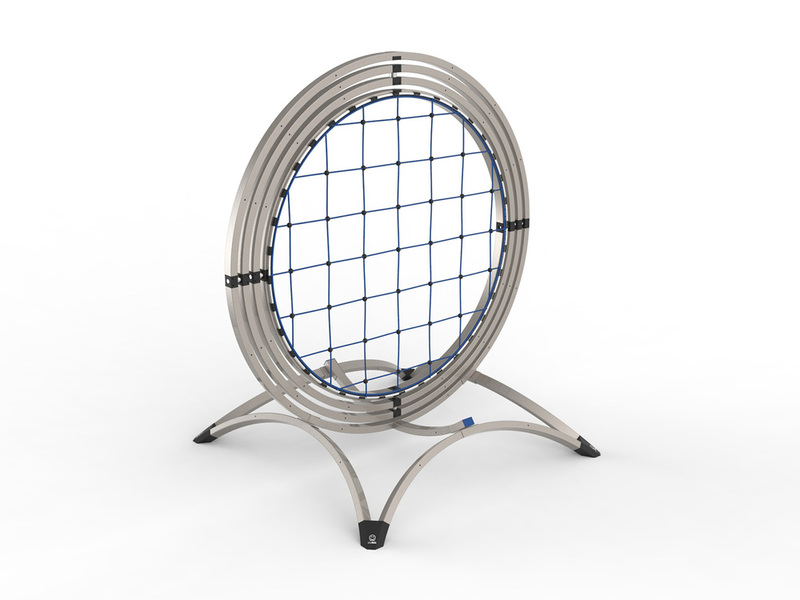 Vertical 2m diameter cargo net ideal for kids to climb (support padding included but not shown). Vertical 2.0m diameter wall ideal for practicing ball sports. Vertical 2m diameter elasticated wall ideal is perfect for practicing your tennis strokes. Turn PlayBase into a funky outdoor bar area, perfect for summer parties. Use it inside as a study or meeting table.